1. What Is a Surrender Charge on a Whole Life Insurance Policy? 3. Do I Have to Pay Income Tax on Life Insurance Payouts? People buy life insurance for different reasons. Some purchase it solely for the death benefits, while others also use it as a savings vehicle. Whole life insurance provides savings that appear as the policy’s cash value. The net cash surrender value is less than the cash value. It is the monies that a life insurance policy holder receives upon a policy’s surrender or cancellation. The cash surrender value is the amount the owner of the policy receives as a refund if he cancels an in-force, active whole life insurance policy and surrenders, or gives back, the policy to the insurance company before the policy matures or he dies. Once the policy holder receives the cash surrender value, this releases the insurance company from any further obligations. The cash surrender value usually remains in effect for the initial two to three years of the policy. No cash surrender value exists with a term life policy. Term life acts solely as a life insurance product, not as an investment vehicle. 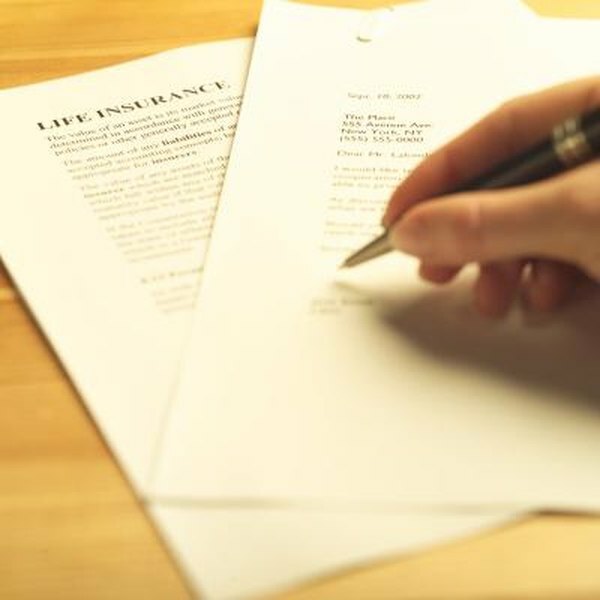 However, whole life insurance -- also referred to as permanent life insurance -- provides both protection and an investment vehicle, a savings account reflected in the policy’s cash value. As a policy holder makes payments on a whole life policy at a level premium, the policy accumulates value on a tax-deferred basis. The amount of cash value accumulated on a whole life policy depends on several factors, including the policy's face value, the term of the premium payment period and how long the policy holder has had the policy. The cash value continues to increase over the term of the whole life policy, eventually equaling the policy's face value, typically around age 100. Policy holders may use the cash value as collateral for a bank loan or a loan from the insurance company. When a policy holder cancels his policy within the early years, he gives up some of the cash value to cover the insurance company's costs. The insurer bases this sum on the insurance premium paid up to the cancellation date, minus surrender charges. For example, if a policy shows a cash value of $5,000, but a surrender value of $3,000, the insurer has charged the policy holder $2,000 for the early cancellation. The surrender fee represents the charges required by the insurance company to cover its expenses in the early years of a whole life policy. Once a policy holder cancels and surrenders the policy, most insurance companies pay out the policy's net cash surrender value within several weeks. However, many states allow an insurance company to defer payment of the net cash surrender value for up to six months after policy cancellation. Can a Life Insurance Policy Be Cashed in Anytime?